Hungary’s Csaba Andras and Rachel Sung won the respective Cadet Boys’ Singles and Cadet Girls’ Singles titles at the 2017 Italian Junior and Cadet Open on Sunday 12th March to bring five days of play in the Adriatic coastal resort of Lignano to a conclusion. 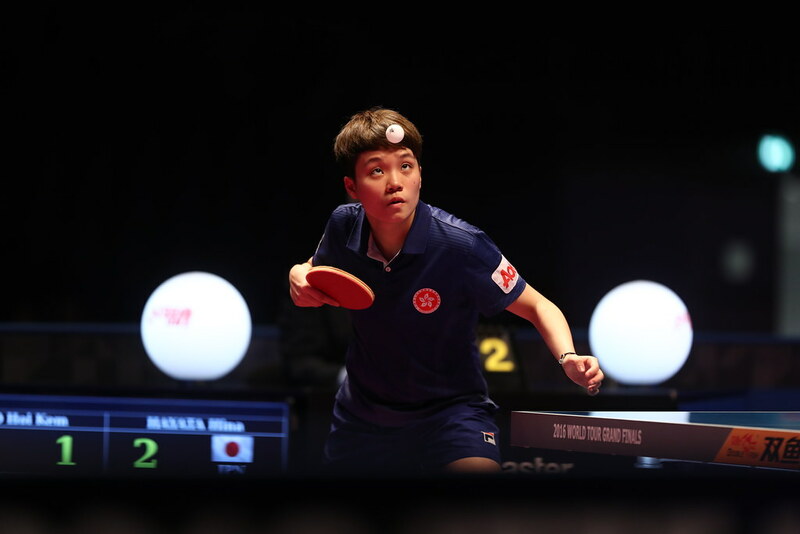 Both were successes that could be anticipated; Csaba Andras was the top seed, whilst Rachel Sung, the no.6 seed, had remained unbeaten throughout the whole of the Cadet Girls’ Team competition. Undoubtedly, she was a player of a higher status than her ranking in the event suggested. At the final hurdle, Csaba Andras beat Portugal’s Tiago Li, the no.2 seed (11-8, 7-11, 12-10, 11-9), having in the penultimate round accounted for surprise semi-finalist, the Czech Republic’s Tomas Martinko, the no.9 seed (12-10, 13-11, 14-12). One round earlier, at the quarter-final stage, Tomas Martinko had ended Italian hopes by overcoming John Oyebode, the no.3 seed (11-6, 7-11, 11-7, 4-11, 11-8). Conversely, in the opposite half of the draw, matters had proceeded very much according to status; in the penultimate round, Tiago Li had ousted Belgium’s Adrien Rassenfosse, the no.4 seed (11-6, 11-7, 17-19, 11-9), having one round earlier beaten Norway’s Borgar Haug, the no.6 seed (10-12, 11-8, 9-11, 11-8). Very much according to seeding in the Cadet Boys’ Singles event; that was not the scenario in the Cadet Girls’ Singles event. In the round of the last eight, Lou Frete of France, the no.5 seed, beat Romania’s Elena Zaharia, the top seed (12-10, 11-8, 11-9), prior to experiencing a semi-final reverse at the hands of Italy’s Jamila Laurenti, the no.3 seed (11-7, 11-7, 5-11, 11-8). Likewise, in the adjacent half of the draw, at the quarter-final stage, Rachel Sung ousted Moldova’s Natalia Brinza, the no.2 seed (11-5, 11-5, 12-10), before ending the hopes of Lucia Mobarek, the no.4 seed and like Lou Frete from France (11-5, 11-6, 11-5). A place in the final booked, Rachel Sung maintained her fine form; a four games win over Jamila Laurenti (7-11, 11-6, 11-8, 14-12) reserved the top step of the medal podium. Silver for the host nation but there was gold on the last day of action. Matteo Gualdi and John Oyebode combined to win the Cadet Boys’ Doubles title; at the final hurdle they overcame the Czech Republic partnership of Simon Belik and Tomas Martinko (11-9, 9-11, 15-17, 11-9, 11-8). Success for Matteo Gualdi and John Oyebode, in the counterpart Cadet Girls’ Doubles competition it was the top prize for Lou Frete in harness with colleague Cloe Chomis; at the final hurdle they accounted for Moldova’s Natalia Brinza and Vitalina Brinza to claim the top prize. Meanwhile, in both the Hopes Boys’ Singles event and the Hopes Girls’ Singles competition, it was silver for Italy. Sweden’s Denis Larsson won the former beating Federico Vallino Costassa in the final (9-11, 11-9, 11-5, 5-11, 11-6); in the latter, the Czech Republic’s Helena Sommerova overcame Nicole Arlia (11-3, 11-3, 12-10) to claim the top prize. Play concluded in Lignano, attention now focuses on the South American city of Asuncion; the 2017 Paraguay Junior and Cadet Open commences on Thursday 23rd March.